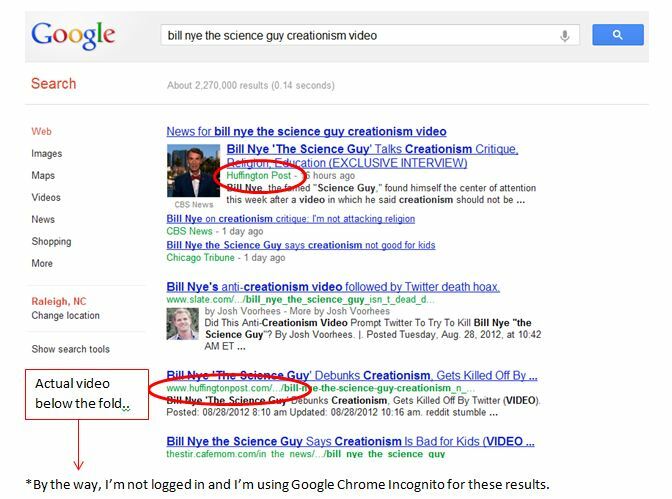 Did you hear about the video that Bill Nye the Science Guy just made? It apparently urged parents not to teach their children about Creationism. But I don’t know for sure, because all I can find is the news coverage about it, not the original video. Ok, I found it eventually, but here’s a perfect example of where search engines are really falling short. Ok, well maybe Bing did better? They did, in fact, by recognizing that the keyword “video” being included in my search probably meant I wanted videos. Still the original is only the second one in a block of videos, and it’s far from the first result. Oh, wait a minute, that’s not the original; it’s a news story by slate.com that doesn’t contain the full video, only clips. On Bing, we’re also treated to a double listing from huffingtonpost. Apparently they are the most reliable news provider available? Well, not sure I agree with that. But there’s hope, there’s one last video on the strip. Could it be? Yes, it is! There’s the original, finally. There’s no other link for the original video on the first page of results. Ok, I haven’t been here in a long time, but maybe Yahoo got it right. Since they mostly use results from Bing, we’ll see. I’m encouraged. The top news is from CBS and Reuters. Still, I’m looking for the original video. 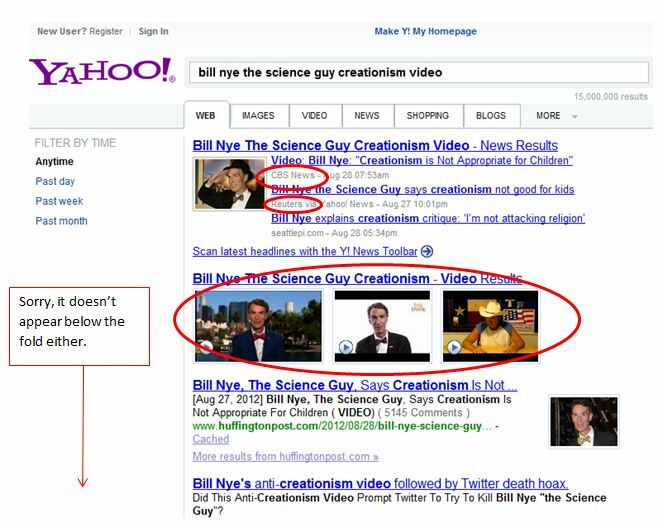 Yahoo also gives me an inset of videos, maybe it’s there. Alas, no. 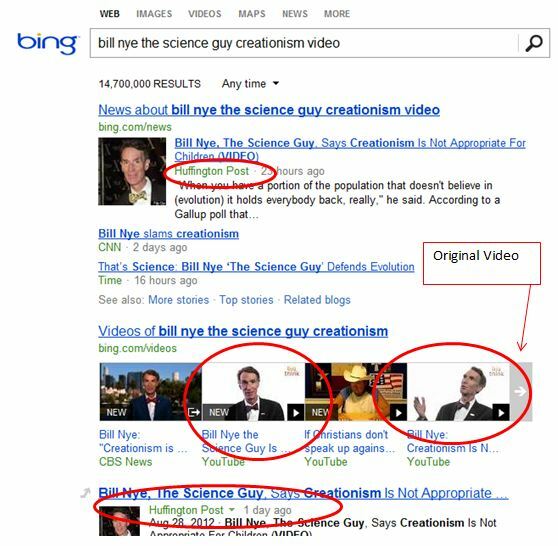 Since Yahoo only shows 3 videos while Bing shows four, the original doesn’t appear here. Ok, still scrolling… nope. It’s not here at all. Has Search Quality Gone the Way of the Dinosaur? So the conclusion is that none of the big three got it right, and of the choices, Bing was actually the most relevant. I finally found the original video, but it took me so long to track it down, now I don’t have time to watch it. Are you also frustrated with search engine results? Let me know your thoughts in the comments below! Zach – maybe it was yesterday but it’s not now. Nope. Give it a try on DuckDuckGo. Not only is it there and embedded, it is above the ads!